It was in St Giles on 23 July 1637 that Jenny Geddes stood up in front of the dean, Rev James Hannay, when he started to read from Laud's Liturgy that started the period of Covenanter oppression. 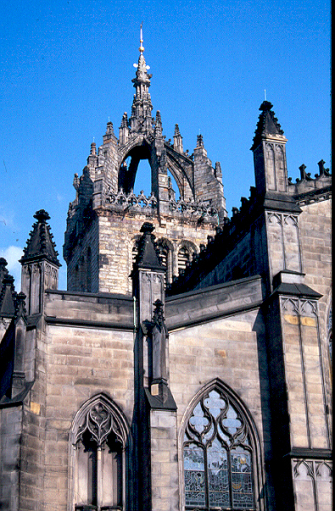 Often referred to as St Giles' Cathedral, this is the principal church in Edinburgh. The church is regularly open to the public. For more information, visit the church website.